Is it time to give your hardwood floors some attention? Despite being extremely durable, hardwood floors can get scratched, dulled or discolored. 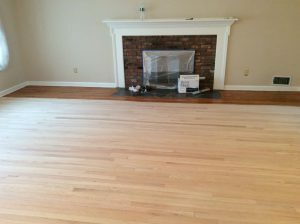 We welcome the opportunity to talk to you about your hardwood floor refinishing project in Westfield, NJ and the surrounding towns. Monk’s Home Improvements can patch your damaged hardwood floors. Then we can do a simple screening and re-coating. We also offer dustless sanding and staining. 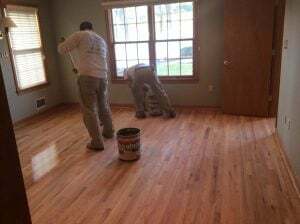 Additionally, we install brand new prefinished hardwood flooring. If your hardwood is hiding under carpet, we can remove the carpet and dispose of it for you. Whatever look you are trying to achieve, Monk’s can deliver. 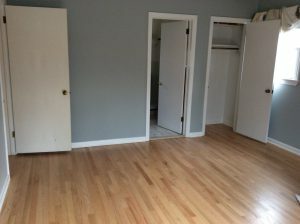 Here is a sampling of flooring projects in Westfield, Mountainside, Scotch Plains, Fanwood, Springfield. Floor refinishing can give your home a completely new look. With stain and poly options, we can simply refresh the existing wood, or change the look entirely. We will discuss the things to consider when choosing the different stains and poly types so you can make the best decision for your home. Call the Monk’s office to set up an appointment to review your flooring needs. Appointments are given Tuesday through Saturday. We respect your time. We will provide you with a written estimate on the spot, and discuss timing for your project.